But, I became interested in it. Perhaps a bit obsessed with finding or making a SCOBY. 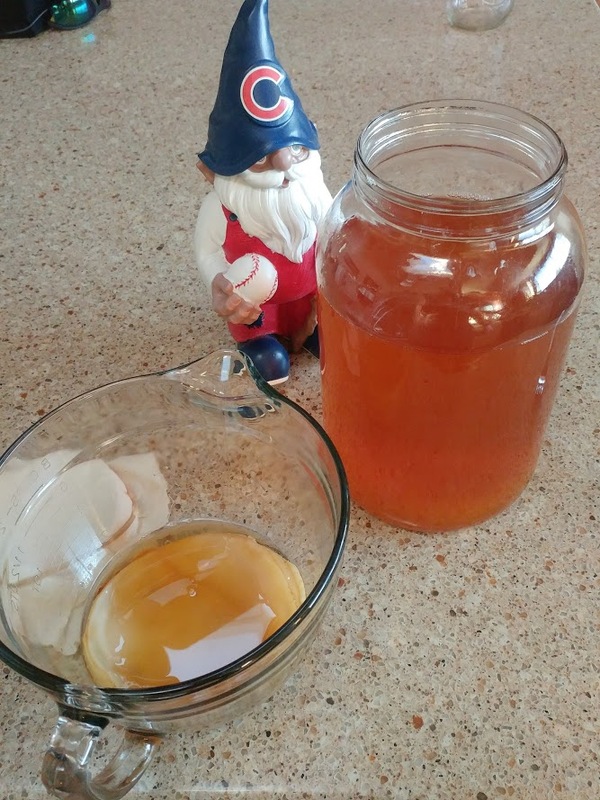 There are plenty of articles on the web on how to make your own SCOBY. 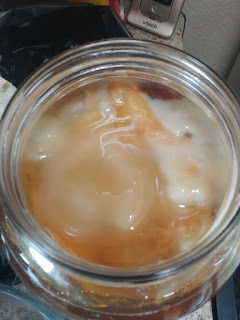 I did hear from a local friend that he knew someone who would probably be willing to give me a SCOBY. 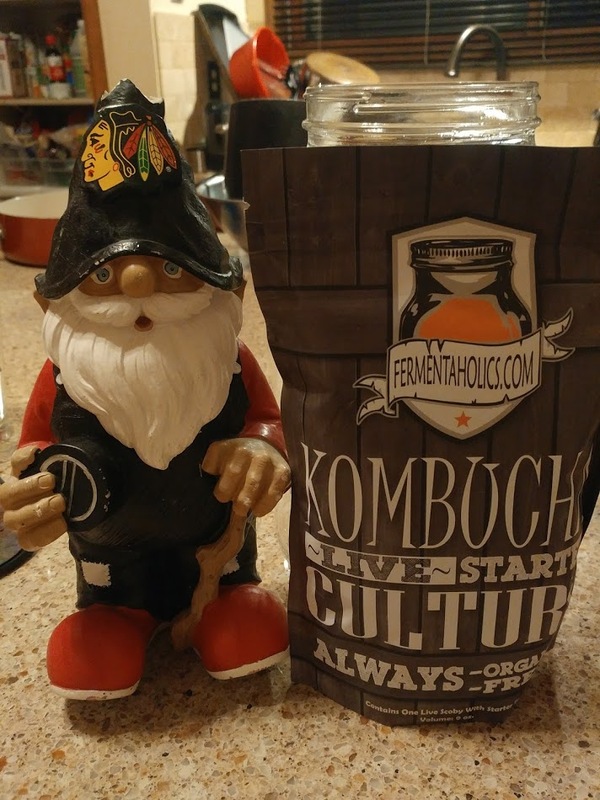 In the end, though, I ended up buying a Kombucha kit from Amazon, which included a SCOBY and starter tea. 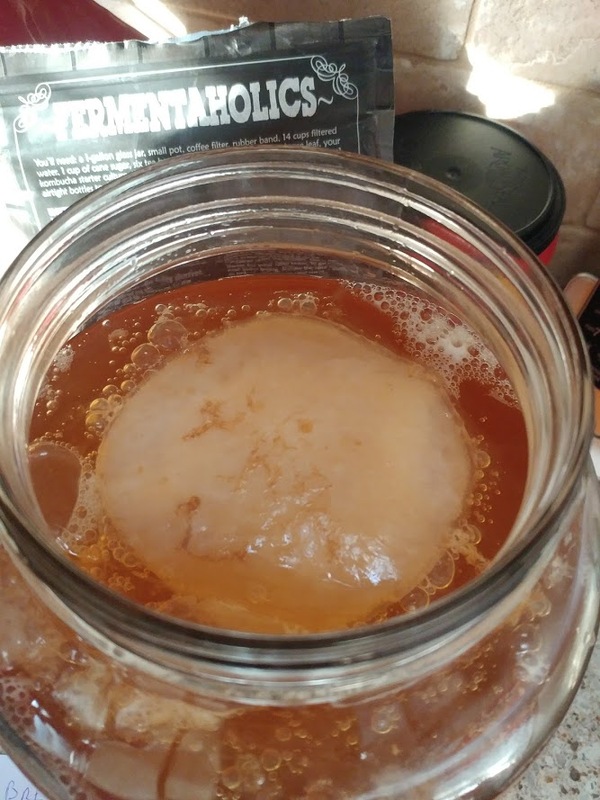 It wasn't until this point that I completely decided that I was going to make Kombucha. Keep in mind, I had never even tasted the drink yet. But, I got the kit in. The process is very simple. Make sweet tea. Cool it down. Add SCOBY. Add starter tea to bring down the PH of the mixture (if you don't have starter tea, they tell you to use a little vinegar). Let it sit for awhile. 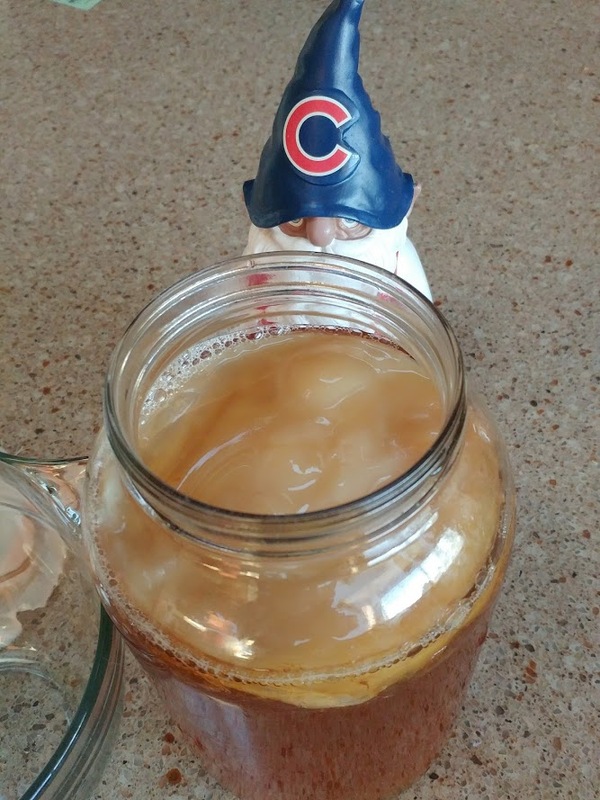 As it sits, the SCOBY grows and sours the tea. 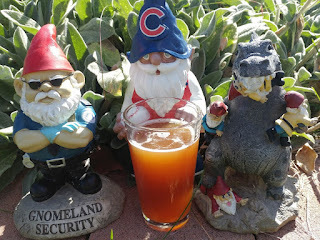 After you decide the Kombucha tastes about the right amount of sour to sweet (I've decided about 2 weeks is right for me), you can drink it like that, or do a second fermentation. 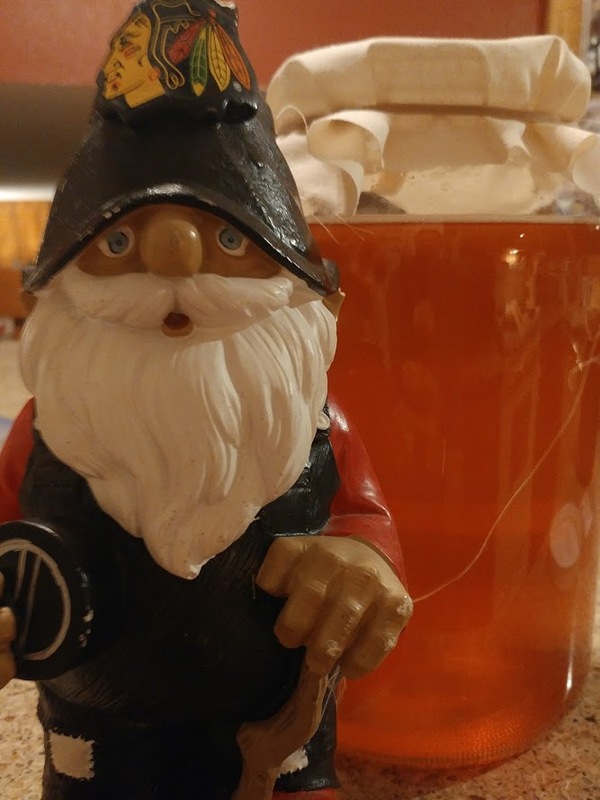 My second fermentation is basically bottling the tea with fruit juice. 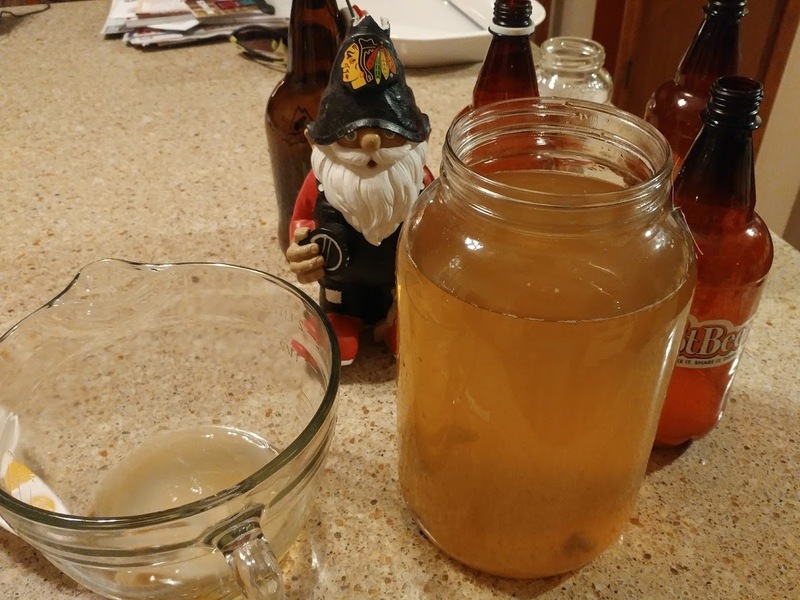 Let it sit a couple days and the yeast/bacteria in the tea will eat the juice sugar, making carbonation. 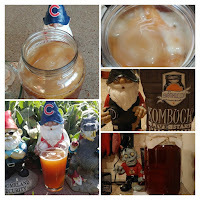 There are tons of Kombucha recipes on the web of other things you can do in that second fermenation. Currently, Pomegranate Cherry juice is my flavor of choice. My old Mr. Beer PET bottles come in useful for the Kombucha second fermentation. I've done several batches. Mostly, I've made standard black tea, but I've also done a couple of batches of green tea. Right now, I have two gallon jars going. I need to bottle one up soon. 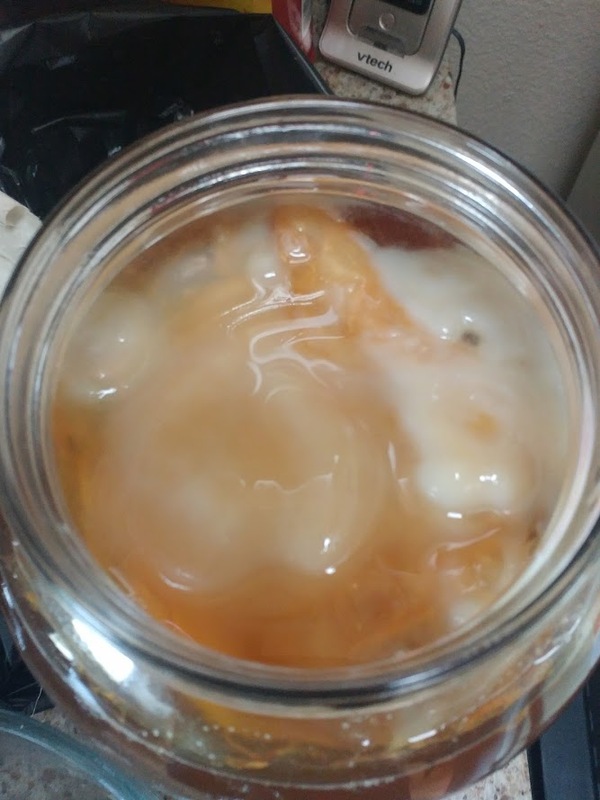 If anyone needs a SCOBY, I can hook you up. It turns out I do like Kombucha, in case you were wondering. It is the sort of thing that I don't think everyone would like. I think the people who don't like Flanders Reds would be a fan of Kombucha. It is pretty fun to break out a bottle that says "Mr. Beer" at work and see the looks people give me as I pour it into a coffee cup. Some people ask if I'm drinking beer at work. Most people just wonder. 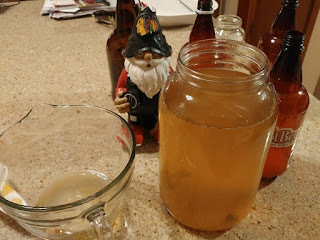 Anyway ... if you think you would like to make Kombucha ... it is super simple. If you have any questions, I'm certainly able to answer. 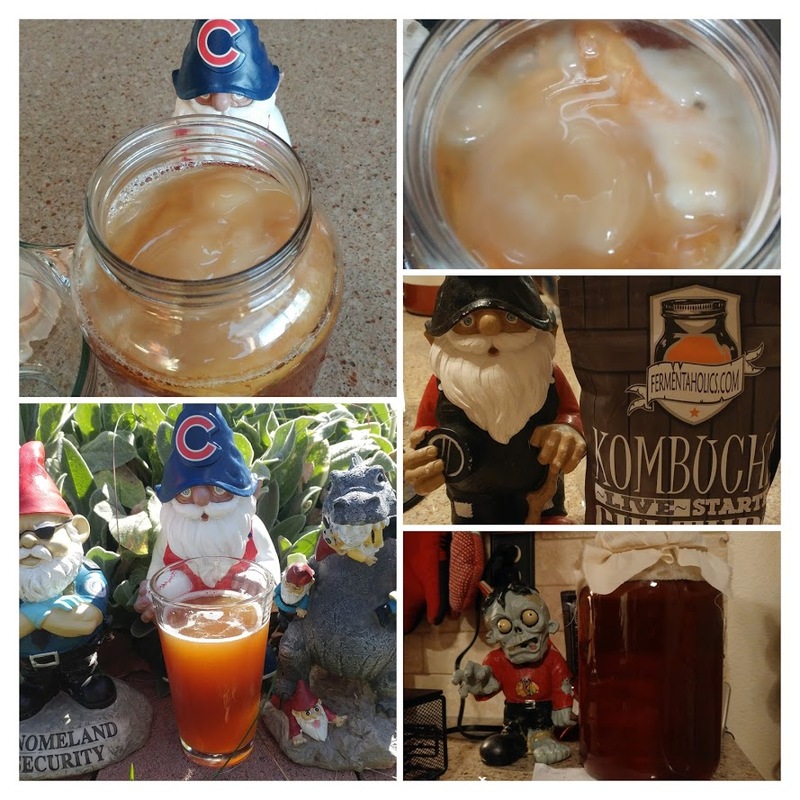 If you already drink Kombucha and don't make your own, you are wasting your money (in my opinion). It is super expensive to buy. It is super inexpensive to make ... especially if you get a SCOBY from a friend. Have a wonderful Thanksgiving week next week, everyone.